The Smart Card System consists of the SentriCard, the SentriSmart App, the Card Reader and the Lockbox. The Sentricard is on a 2 year service agreement with Sentrilock. The annual fee is $99.00 + tax, and the new year starts June 1st of every year. Upon Activation of the Sentricard, immediate access to the SentriSmart mobile app will become available. SentriSmart is a new mobile application which allows access to key compartments for all wireless Sentrilock boxes. The primary advantage to using the app is that it’s readily available and does not need to be updated. However, YOU STILL NEED TO PURCHASE the SentriCard in order to have access to the mobile app. The SentriSmart app is now available to C.A.R. SentriLock subscribers for their iPhone, iPad and Android. You MUST be a SentriCard subscriber to have access to the SentriSmart app. To download, visit the App Store or Google Play from your smartphone and search for SentriSmart. SentriConnect is an app recommended for members who are issuing Sentrilock access to REALTORS® who do not have a Sentricard, contractors, appraisers, etc. The lockbox access log holds more data than Sentrilock’s one day code system and is more reliable and secure. Here is some information on SentriConnect. The Card Reader is a device used to update the SentriCard’s information once every four days. If the Sentricard does not get updated through the card reader within the four day period, the card will remain expired until its inserted into the reader. ** Please note that access to the Card Reader is necessary in order for you to update your SentriCard. If you will be sharing a reader within your office or with another agent, you may elect to not purchase the Card Reader. The Card Reader is $55.00 plus tax and the Lockboxes are $119.99 plus tax (C.A.R. office pickup)/ $129.99 (with shipping). Both the reader and lockbox are purchases and are non-refundable. If you have a card reader with your SentriCard®, you can use these instructions to download and install the SentriLock Card Utility software. 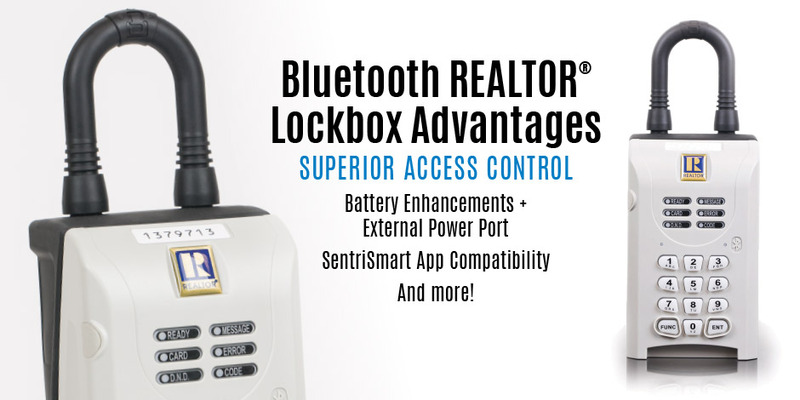 Click here to learn more about the upgraded Bluetooth Sentrilock Lockbox. The old Bluetooth Sentrilock Lockbox will be available in limited quantities for $100 while supplied last – Learn More. The forms require the latest Adobe Acrobat Reader XI to save forms. Depending on your delivery choice, staff will confirm pick-up time or ship your materials. If you have selected to have your materials shipped, expect them within 2-3 business days. The SentriSmart app is now available to C.A.R. SentriLock subscribers for their iPhone, iPad and Android. YOU MUST be a SentriCard subscriber to have access to the SentriSmart app. To download, visit the App Store or Google Play from your smartphone and search for SentriSmart.